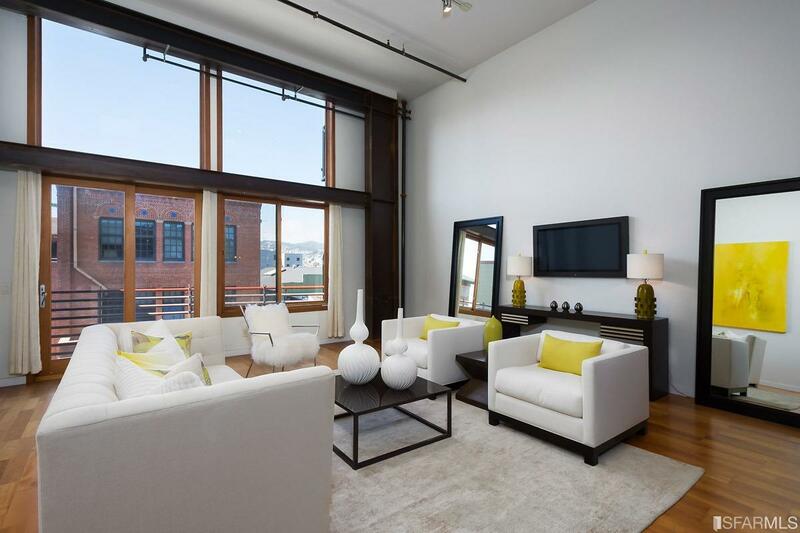 This brick and timber loft epitomizes SOMA style. The lower level serves as a chic, social space with floor to ceiling windows and a kitchen that features a gas range and wine fridge. Exposed iron and high ceilings imbue a sense of style while tongue and groove hardwood floors and raw timber supports warm up the space. On the second level, the bedroom and mezzanine offer a cozy sanctuary. 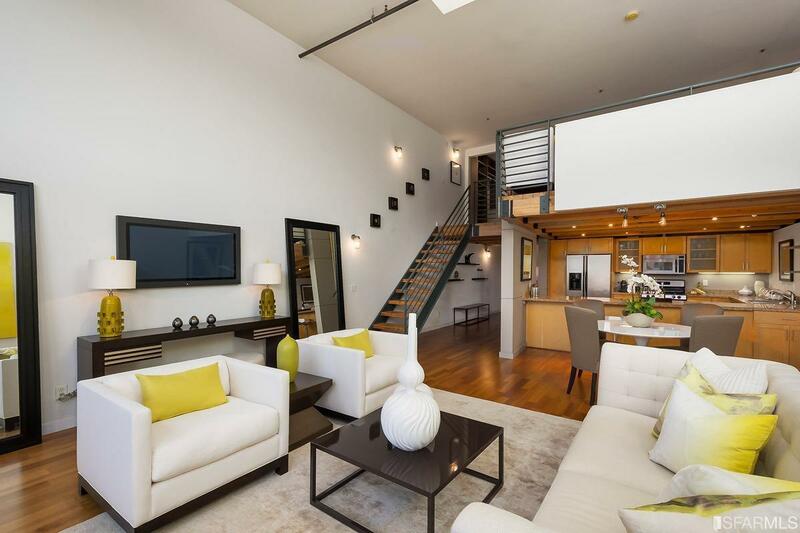 Loft level offers walk in California closet as well as large storage/second closet space. 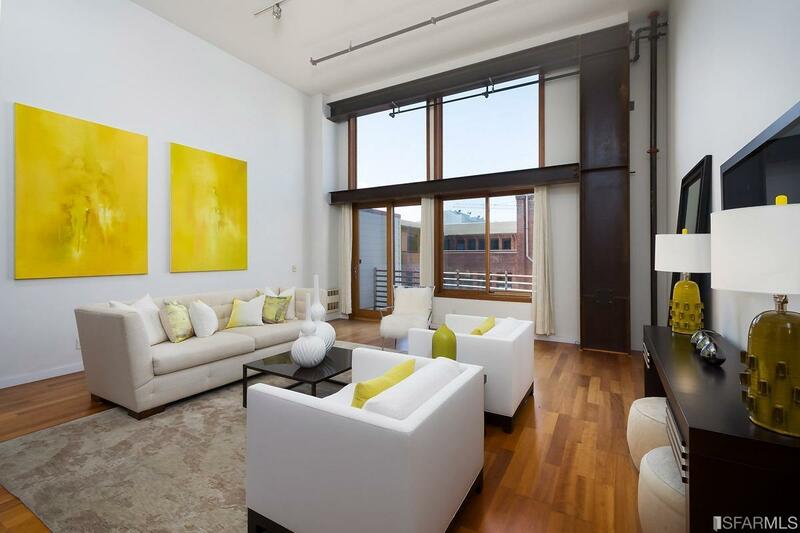 A private balcony faces back and is exceptionally quite, while a shared roof deck provides even more glamorous views. 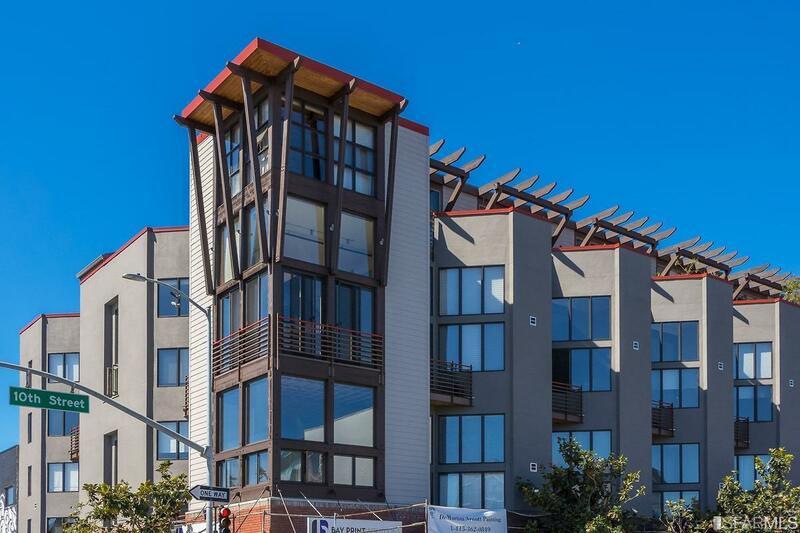 An in-unit washer and dryer, full bathroom on each floor, and garage parking make this loft as convenient as it is classy. Listing provided courtesy of Casey Belway of Zephyr Real Estate.